Giveaway is open to everyone that reads Aquaheart's Obsessions. Just enter below using the Rafflecopter widget. Giveaway ends on July 27th, 2012. Good luck! Nothing too exciting going on here unfortunately. Just working on the weekends and taking care of the kids during the week. My husband and I are going to the mountains this summer. Well,summer means a lot of time to play with my baby! I think the most exciting thing I'm doing is taking summer classes. The most exciting thing I am doing is going to spend two weeks with my granddaughters. I can't wait! I hope I could win this giveaway.. 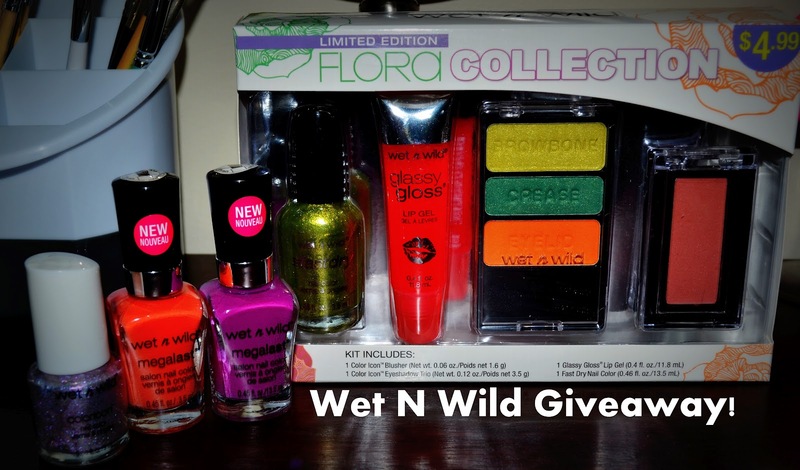 I love al the beauty products for this giveaway.. Yeah! Well, it's technically winter where I live now and uni is starting again! Thankyou for the giveaway :) I'm going on my first holiday, abroad, with my boyfriend. I've only ever been abroad with family and friends and never a boyfriend :). The past few years we've done stay-vacations and actually going to Greece this time :D. So excited! I just got back from Orlando from visiting my sis and we went to Disney. Also did lots of makeup shopping! So that's probably my excitement for the summer. Really excited about the Flora collection, the shades look so summery! Leaving for a week at the lake this Saturday! Yay!! !